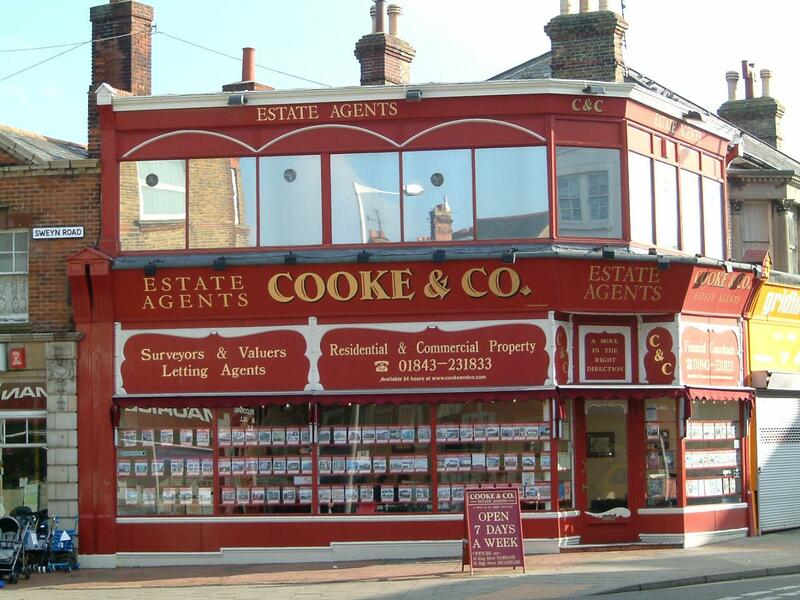 Cooke and Co Estate Agents and Letting Agents are an entirely independent regulated estate agency covering the Thanet area which is situated in the South East corner of Kent approximately 70 miles from London and includes the popular seaside towns of Margate, Broadstairs, Ramsgate Westgate and Birchington. Cooke and Co offers all types of property to purchase or to rent including houses, bungalows, flats, commercial, buy to let investments and with some of the finest coastline in Kent many properties offer panoramic sea views. We were established in 1992 and are pleased to be selling family homes in Thanet for over 15 years. Cooke and Co are members of the National Association of Estate Agents, the OEA scheme and the National Approved Letting Scheme and the Dispute Service for Regulated Tenants. We currently have 100 properties for sale and 60 for let. On average, properties are sold within 3 months of being listed by us. We have properties between £50 - £1,200,000. Our admin fee is a fixed rate of £150 + vat per property which includes all admin, contracts, references etc. Deposit is dependent on the property but usually 4 weeks and a months rent is requested before moving in.